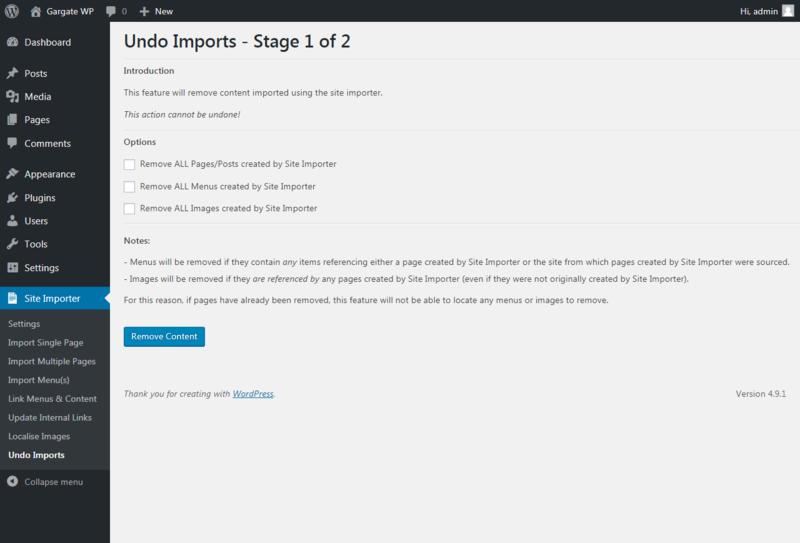 Occasionally, you may want to remove Pages, Posts, Menus or Images that you have imported using the WP Site Importer for WordPress plugin. This can be done by hand if you wish. However, if you want to save time the Undo Imports feature will rapidly remove anything it has imported. Any content that has not been created via import using the plugin will be retained. Put a tick against each option you wish to run, then click Next. A summary screen will be displayed detailing how many Pages/Posts, Menus and Images have been removed.